As members of a community association, both homeowners and board members have certain rights and responsibilities. Living in a common interest development provides homeowners with many advantages, the most important of which may be the ability to be part of making decisions regarding their community. With that ability comes the responsibility of a homeowner to adhere to certain standards and practices set forth by the association. 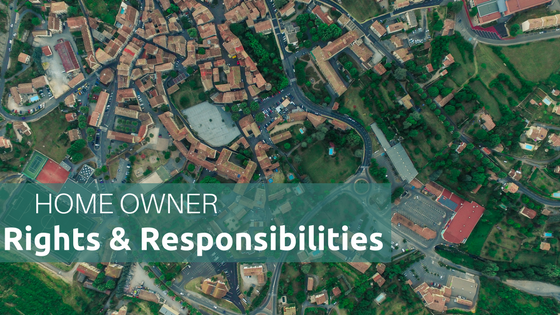 Community Associations Institute (CAI©) has created a list of homeowner rights and responsibilities that can act as a guide for those living in a community association. Honest, fair, and respectful treatment of community leaders and managers. Participate in governing the community association by attending meetings, serving on committees, and standing for election. Received all documents that address rules and regulations governing the community association – if not prior to purchase and settlement by a real estate agent or attorney, then upon joining the community. Ensure that those who reside on their property (e.g. tenants, relatives, and friends) adhere to all rules and regulations.